It out competes native grasses for resources. It can taint milk if dairy cows ingest large amounts. It may be mildly toxic to livestock. 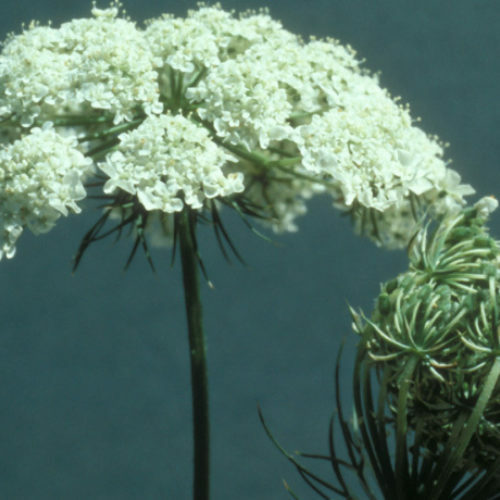 Wild carrot may cause poor seed production with commercial varieties through hybridization. 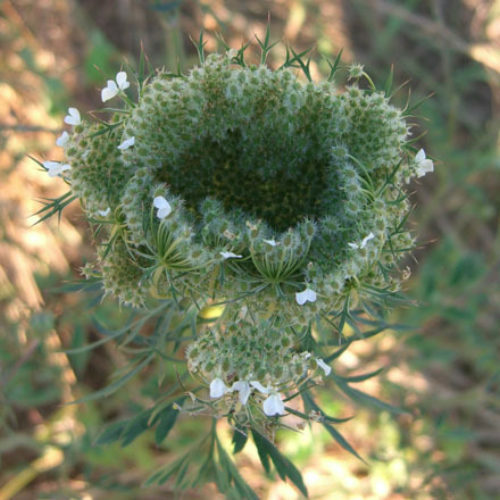 Wild carrot (except where commercially grown) was changed from a Class B to a Class C noxious weed in 2013. It is an upright, taprooted herb, reaching 1 to 4 feet tall. It may occur as an annual or short-lived perennial. The species is often a biennial that bears a rosette of leaves its first season. The entire plant is covered with coarse, stiff hairs. 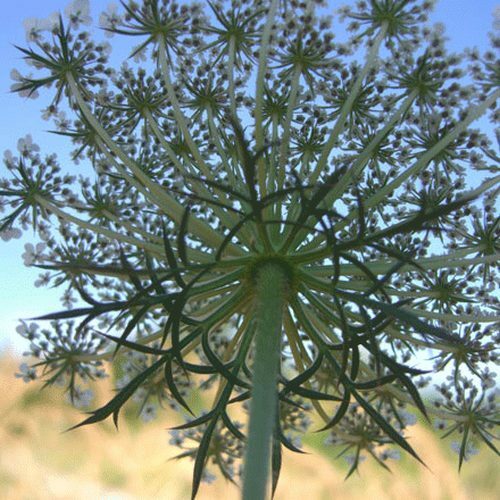 Flowers are small, white and borne in compound flat-topped umbels. The umbels are 2 to 4 inches in diameter. They have purple or pinkish flowers in the center. 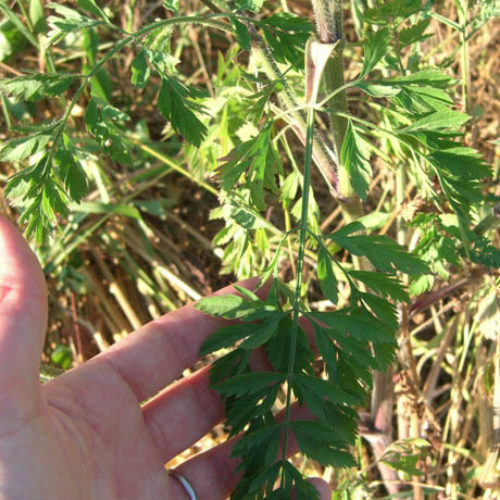 Leaves are fern-like with small toothed leaflets. The segments are linear or lance shaped. Similar to other plants in the Apiaceae (carrot) family when young. From a distance, wild carrot (Daucus carota), a Class C noxious weed, may be confused with poison hemlock, although wild carrot is smaller and doesn’t have purple blotches on the stems. 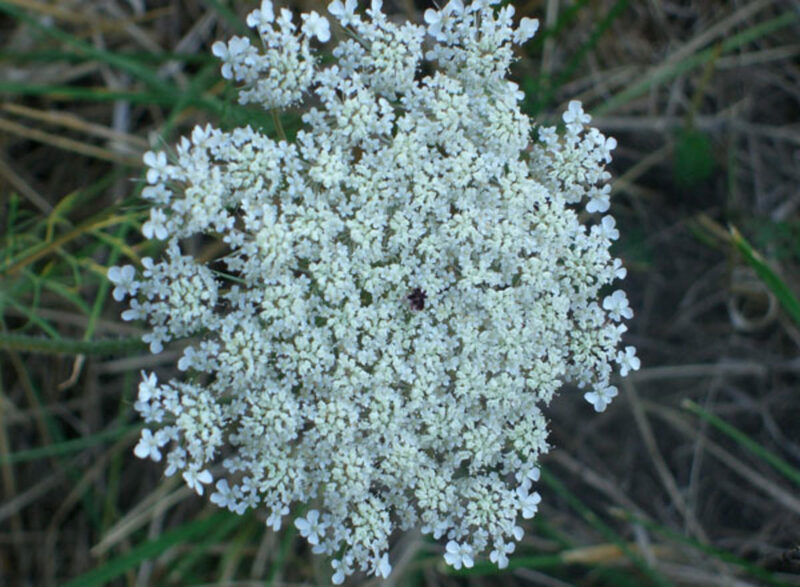 Wild carrot is found in meadows, pastures, roadsides, and waste places. 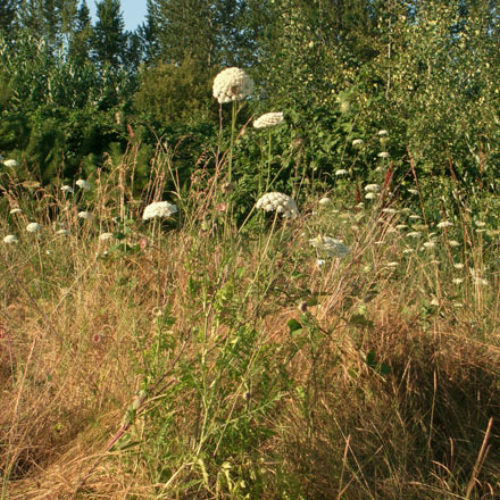 Please click here to see a county level distribution map of wild carrot in Washington. Wild carrot reproduces by seed. 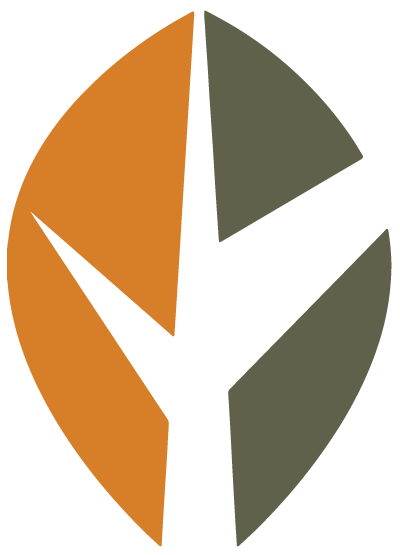 Estimates of seed production vary from 1,000 to 40,000 seeds per plant. Hand-pulling or mowing, during the first year when the plants are 7 - 10 inches tall, can be effective. 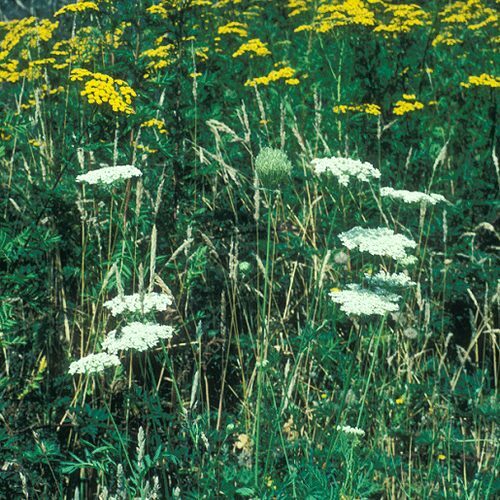 Establishing and maintaining healthy stands of native, desirable vegetation can reduce wild carrot infestations. 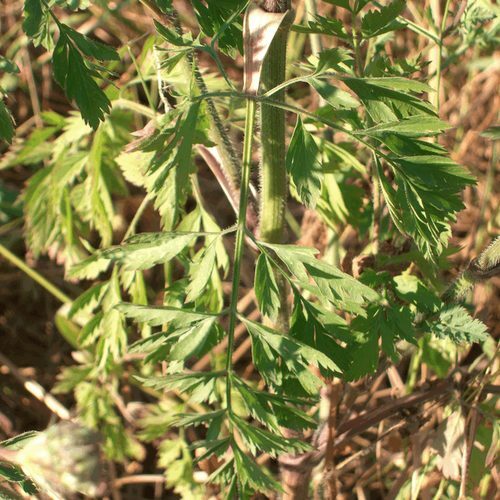 Since wild carrot and commercial carrot are the same species, classical biological control is not a viable option. 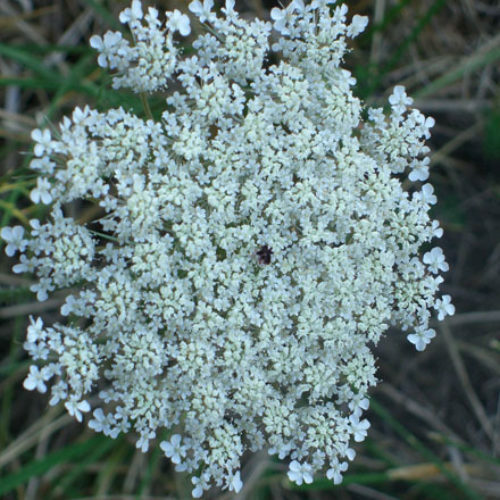 See our Written Findings for more information about wild carrot (Daucus carota).  Report on wild carrot from the book "Weed Control in Natural Areas in the Western United States"